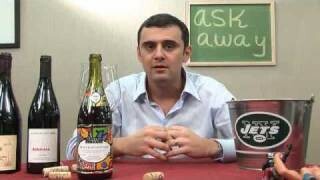 Today Gary Vaynerchuk starts a new segment on Wine Library TV: “Wines of the World”. 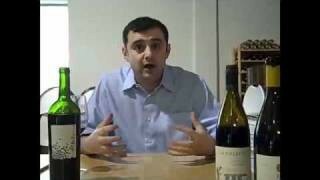 He will explore 2-4 wines and rate them with tasting notes. 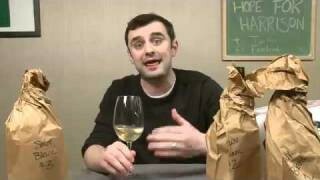 On today’s episode, Gary tries a Riesling from Germany, a white Grenache from Spain and a wonderful, complex Syrah from California. 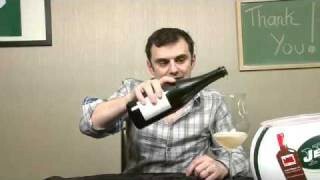 These episodes are great for branching out and trying wines from regions that you might not have considered. I am a huge fan of Spain, particularly tempranillo. 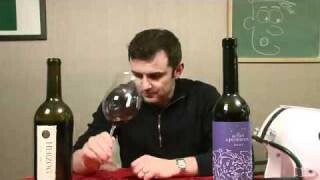 EP 141Tensley and Vaynerchuk Talk About Parker, Syrah and Wine. Another interesting idea you’ve introduced here, looking forward to seeing more ratings. The Renard Syrah sounds tasty! 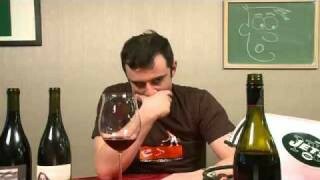 As for ideas, I don’t know if anyone has mentioned it yet, but I would love to see an episode on wine/food pairing. Maybe debunking myths on what wines have to go with what food, or even just your own personal preferences. Keep up the great work! Good episode! What I’m thinking is that there should be be an episode that focuses on cool climates vs warm climates, how that affects the grapes, and in turn, the vinification process. Too many other things I’d love to see. I’ll shut up now. 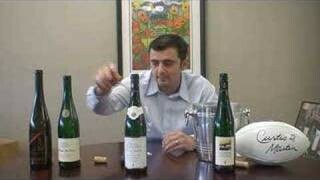 Think you idea of the some in depth explanation on German wines and especially Rieslings is a great idea. 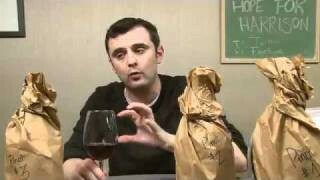 I would also like to suggest a favorite winery of mine that I would love to see you rate on your show. The winery is Nalle from Sonoma, Dry Creek Valley and they make an exceptional Zinfandel. Doug and Lee Nalle are very nice people and they use Bob Johnson artwork on the back labels of their bottles. I highly recommed it to anyone one of your viewers. I think this episode was a great idea, it gives me and idea for future episodes. Tell us the true Terrior differences between them…you could come up with insane amounts of comparable wines…it would be phenominal. Willi Haag was one of my go to summer whites this year. German wines? What can I say? 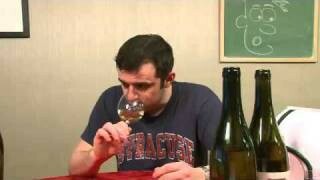 I love Riesling. Spanish reds have been my value reds that I have been exploring lately. I try a lot of wines from California simply because it’s about half the inventory at most wine merchants. I don’t usually look to California when I want a Syrah based wine though. Good episode, I don’t remember ever watching this one and I started watching around ep.6, I think, so I must have missed it. I can’t believe only 5 comments, very interesting how much you’ve grown recently. I’ll try to get there on Sat., would love to meet you. I was just there tonight, so not sure, but will try. 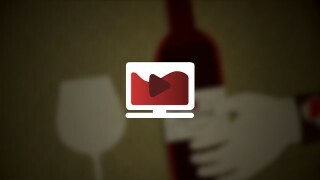 Love this type of episode where you juxtapose styles of wines and the scoring intro was really helpful. Enjoy the vacation Gary! I’m down with Renard’s message. I’m going to seek it out. QOTD: what episode will the QOTD’s begin? There are many classics out there but this might be one of them. The 100 point scale shows up for the first time and there is an excellent description of what that means. I am actually kind of impressed that you were able to hold out this long before using the scale. But you did hand out that 91 pretty easily though. I have serious doubts whether or not that would happen today:) Good episode. Telling friends about it now. well, i must say, i love the siren in the background. Soooo much reminds me of my days in NYC, when the police turn on the siren for every little where what and why. And who know, maybe it was even an emergency…. Good episode. I liked the comparisons between the different regions. I am very interested in seeking out the Renard – not a producer I am familiar with. This was a die hard fan only show. (a little to dull for most) But I’m a DHF so it’s all good! as others have said i enjoy the comparisons between various regions too. 1. a Charbnono tasting. A grape in Napa most people aren’t aware of, and a very rare grape, as I’m sure you know. Only made by about 13-18 winieries I believe, with a few turning out stellar examples for the price. 2. Vin jaune. The infamous yellow wine out of Jura, France that barely anyone I now had heard of. Very hard for me even to find, I have only found one distributor who has yellow wine. 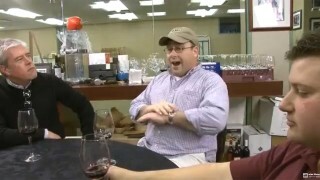 That was after looking through and talking to the wine reps of about 20 distributors. And they only had vin jaune from 2 producers. But I would love to see shows on those 2 far above anything else that I haven’t seen you do so far. But of course, still looking forward to all your new episodes Gary. 6 comments in the first year??? i cant even make top 6 in the first minute anymore! Really gettin into breakin down the wines on this one!